The advantage of using the Prototyping Boards instead of simple stripboards is that you don’t have to rethink your circuit. From your breadborad version to your Prototyping Board, just copy what actually works, without extra headache. The size is twice the #1 board. You can then stack two #1 board on top or bottom of one #2 board. 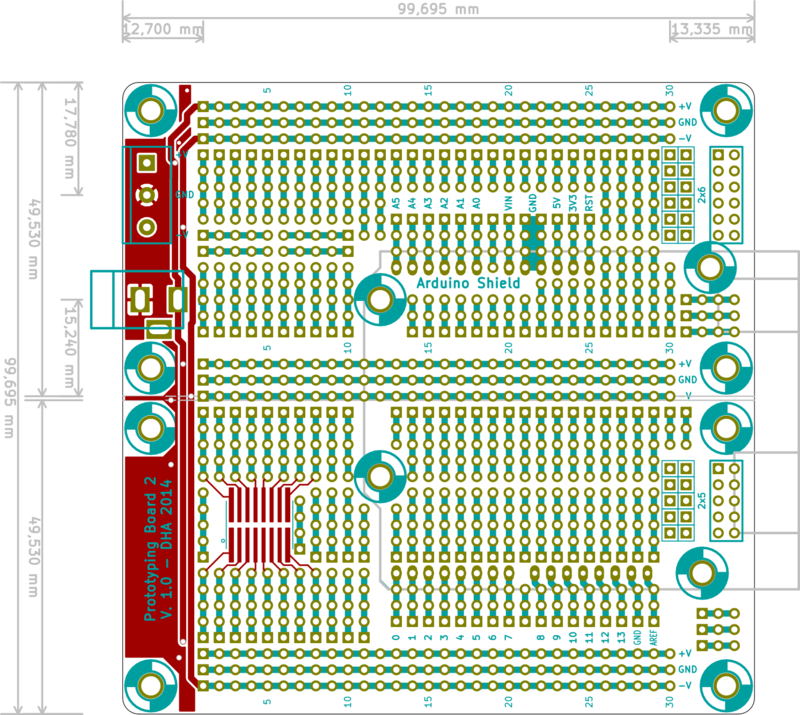 Arduino footprint will allow you to easily integrate your Arduino to your permanent prototype. It’s compatible with Arduino Diecimila, Duemilanove and UNO. There’s room for 2 header connectors (2 x 5 and 2 x 6). 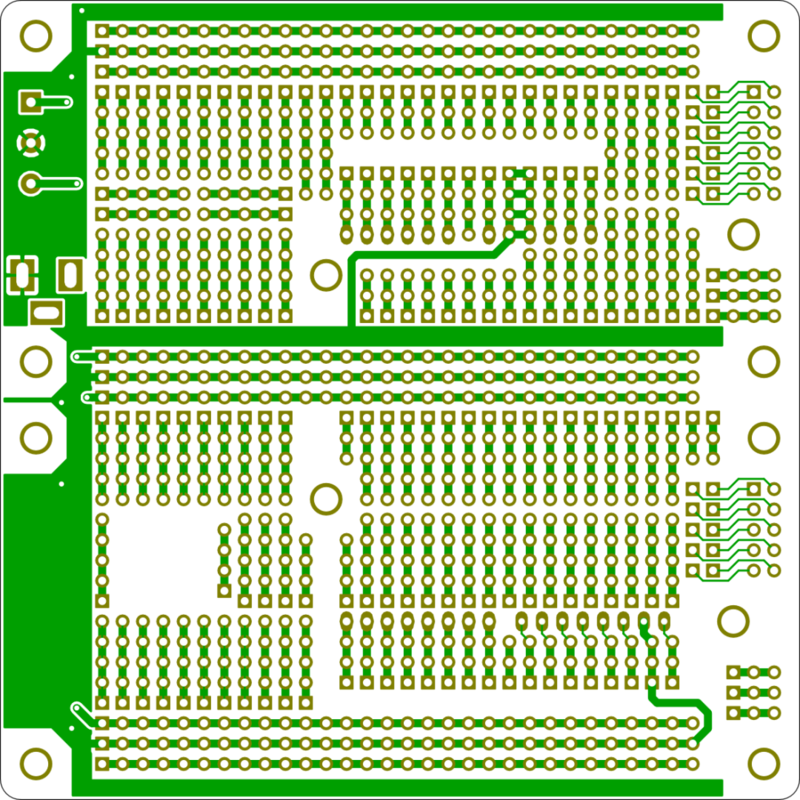 And there is a footprint for one SMD SO-16 package. Sometimes, ICs are cheaper in SO package than in DIP. And sometimes you even don’t have choice because SO package is the only option available. So here you can use them without the need to buy a SO adaptator. 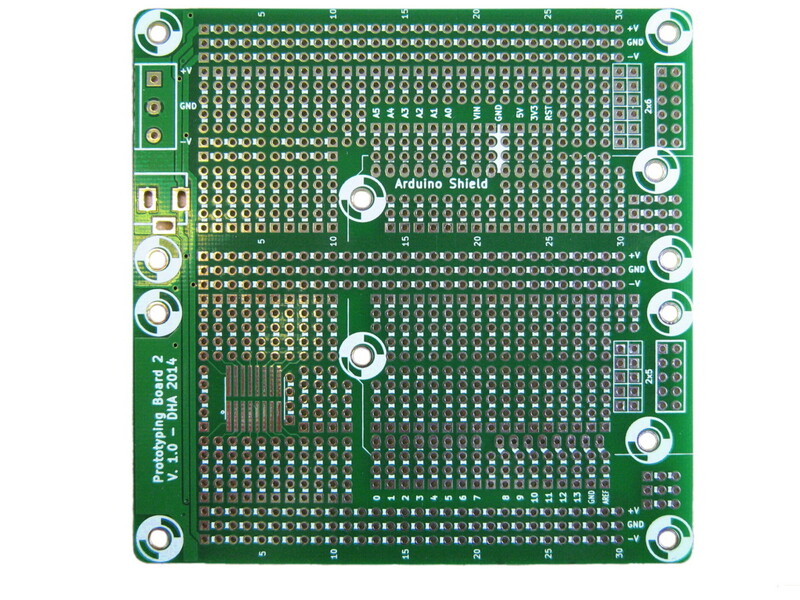 Powering your board can be done either by a barrel jack connector or by screw terminals. Barrel jack allows you to power your board by one rail (+ and GND) only while screw terminals allow 2 rails (+ GND and -). Or you can of course simply solder wires from your power source. I have several extra PCBs to sell. Feel free to contact me or visit my shop page.